The irony that Andre “Dr. Dre” Young and another integral part of hip-hop culture, Dee Barnes, host of ’90s TV show Pump It Up! are both in the news this week is not lost on me. For those who may not know, many years ago, when he was a member of N.W.A., Dre threw Barnes down a flight of steps because she asked him a question he did not like. He recently expressed remorse for his actions, saying in his documentary, The Defiant Ones, that it was “a major blemish” on who he is as a man. He has also said he was out of his effin’ mind. Dr. Dre is a purported billionaire. 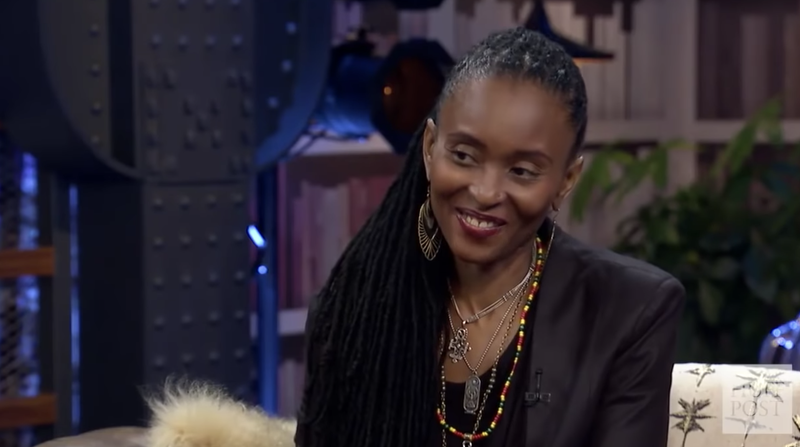 Dee Barnes is nearly homeless. If there is any such thing as restorative justice, Sista Dee needs a home underwritten by Dr. Dre, just for all of the violent misogyny he spewed on wax, and allegedly physically carried out on others, as well. But that’s in my perfect world. Yes, I did post the link to my PayPal, CashApp and GooglePay accounts asking for help because I am in the process of being evicted. This page was created as an emergency fund to stop the process and the subsequent legal fees. Even though I am facing extreme financial hardship, I keep my head up. I know who I am, I know my worth and I know I’m not alone. Everyone is dealing with their own different struggles. Some of us less fortunate than others. It may sound cliche but things will turn around in your favor, this is the balance of life ups and downs, so stay strong, and count your blessings, not your problems. I have the sincerest gratitude for your help and thank everyone for your love and support. Since the campaign went up (and especially since it’s been publicized in the last few days), Barnes has far surpassed her original ask of $5,000 (as of press time it was at more than $14,000), but as I said earlier, Dre might as well go ahead and get her that house—and pay the taxes for the next 30 years. The good news is that even if that doesn’t happen, many folks in hip-hop and beyond have this hip-hop pioneer’s back.